Soundwaves Djs - Copywrite 2005-2016 all rights reserved. Scott made my wedding day AWESOME! He played all of the songs I wanted for my special day and met all of my demands for dedications to guests - and there were a lot of them. He not only had a great itme with the wedding party and the guests, he also had a great time himself. He kept my evening on schedule and rocked the house. I live in Philadelphia area and will use Scott for any and every event I need DJ services for - hoping he will make the 3-hour drive!!!! After the wedding many of the guests told me how much they enjoyed the music and the DJ. 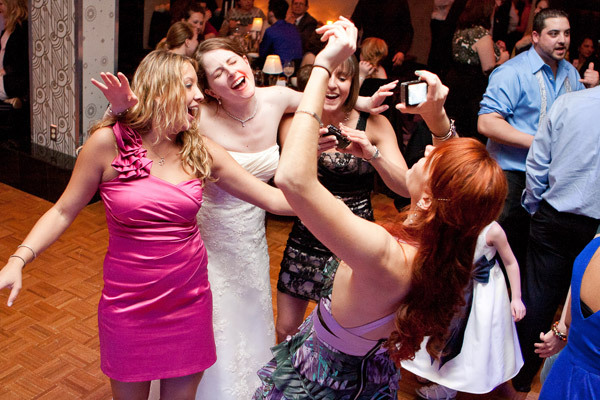 I was never at a wedding where so many ppeople were on the dance floor...I am sure glad it was mine!! You did a fantastic job! Music was one thing that was very important to both of us, but we didn't have time to spend worring about songs to play/not play. After providing a short list of a few songs we like, you got the idea and took the lead. Our guests had a great time and the dance floor was never empty! THANK YOU!!! I wanted to thank you for the SPECTACULAR job you did at our wedding! Everyone had a great time and said you were wonderful. I really appreciate all of your hard work. Dude! You had several generations of 3-4 families dancing together! Thanks for an awesome job with Tim & Kelly's wedding reception! Thank you so much for the amazing job you did at our wedding on 11/18/11. You were fantastic and I received so many compliments about the music/DJ. You exceeded our expectations and it was perfect!